2-3-4 Thread CapabilityProvides more stitch variety. I really like my Serger. There is a lot to learn but I will get there. Thank you. I received my Singer 14CG754 Commercial Grade ProFinish a week ago Saturday. I am in love with my machine. It sergers beautifully ... there were many out there. But I chosed the Singer brand because it's a company I trust. I can't wait to complete my sewing projects. I would recommend this machine to others. 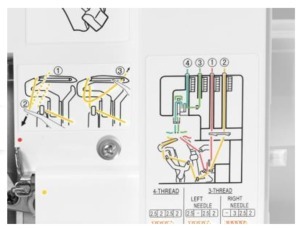 The threading is not difficuly, unless this its your first time using a serger. But you won't be displeased with this choice. 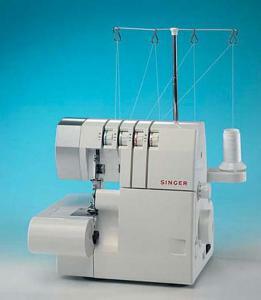 I have not used my new sreger much yet but what I have done so far it is a great machine . I can't believe how FAST I received this order! I ordered it on a Tuesday morning, and it was delivered on Thursday evening! Thanks! I had such a great experience with your company 10 years ago that although places like Overstock had similar products, I headed right back to you. I love your comments about the machines and I think your company is one of the best in price and foremost, customer service. I have recommended your company to many friends and all have had the same experience. Thanks for all your efforts in making your company great. 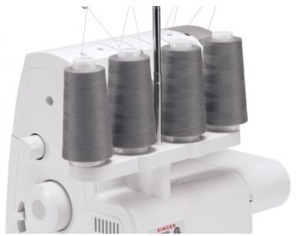 I was looking for sewing needles for another machine and happened upon the Serger I bought. I was amazed at the price and free shipping. 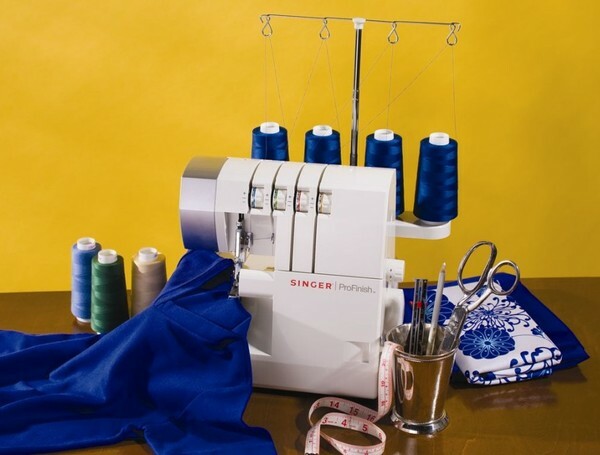 This price point was amazing and although I had not planned on getting a Serger this month, it was too good to pass up. Everything about the transaction was perfect. I will shop with you again for all of my equipment/supplies. I couldn't find this particular machine in the stores--what a fast and easy way to shop. This is the second item I have purchased for my Granddaughter and she and I are both pleased. Thanks much. It was a wonderful experience shopping with All Brands especially when I found this product at a lower price and you were able to match it. I look forward to shopping with you in the future. I have been purchasing from you for over 10 years now, maybe more. Your prices are excellant, and the few times I have had to call customer service, the service I received was excellant as well. You have been very helpful to me over the years whenever I was in the market for a new machine, answering any questions I had and suggesting the make or model that would suit my needs. I would never go anywhere else for my sewing needs. In fact my next purchase from you will be a steam generator! I have been more than pleased with your company. 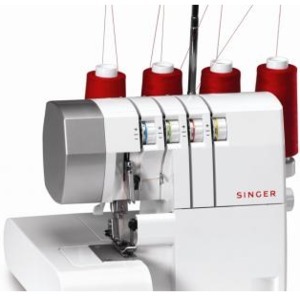 Thank you so much, I am enjoying my serger very much with all the fun stuff that I can do with it. Thanks again. Margrit I.
loved the free shipping and we got it as promised,in 3 days! well packaged AND so far it works like a charm, my daughter seems very happy with it. I would definitely shop your site again.